2012 Holiday Gift Guide: Our Top Picks for Your Wish List! Fyxation Loop Eva Bar Tape: The quality, durability, low price and color choices make it a great product for any bike commuter to use. $13.95 and available in 5 colors: black, pink, orange, green, and white. Planet Bike 25g Twinpack CO2 Cartridges: Need to fill a high-volume tire on the go? You could carry a handful of smaller cartridges or just one of these mini-SCUBA tanks from Planet Bike and be on your way in no time! Two for $20.99. JIMI Wallet: clip your keys to it and stash it in your pack, jersey, fannypack, whatever. Water resistant and with a lifetime guarantee (I’ve tried it and they sent me a new one!) and comes in many colors for $14.95. Mir.I.Am felt flossy-flossy in the Lululemon Wind Shirt for $59.00! 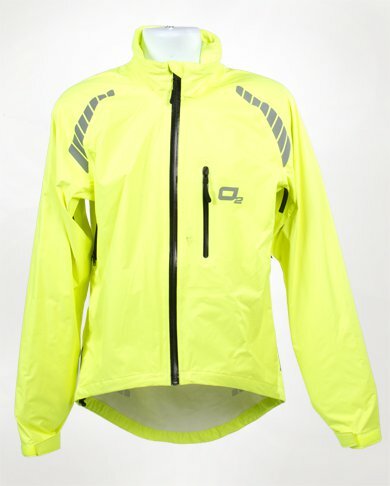 O2 Rainwear Calhoun Jacket: This quality jacket performs admirably when the weather turns sour. Rainproof, windproof, and you don’t feel clammy! It looks nice, it has good features and visibility, and it is packable enough that there’s really no excuse not to bring it with you. Lululemon Duds: Lululemon makes small batches of high quality, stylish commuter clothes for women and men. We loved the Pedal Power commuter fall lineup for women, especially this snazzy blouse/windbreaker. The lineup is constantly changing… a nice gift with a nice price, since all the Pedal Power items are on final sale for half the price. Jack gave the PB Borealis Gloves two lobster claws up! Matt also likes the Novara Stratos Gloves, $38.00 at REI. We liked the Planet Bike Borealis “lobster” gloves because they bring together a warm inner liner and a windproof outer shell. They also keep your last 2 digits a lot warmer than regular separated gloves, without losing any of the function you need while riding. All for the cozy price of about $42.00. Matt also recommends the Novara Stratos gloves, which are along the same lines as the PB Borealis but without the removable liner, and with the addition of handy draw cords for a windproof fit! Women's Velo Transit Module 25. Men's Velo Transit Edge 40. For those of us who don’t have the option of dressing down, the Henty Wingman is the best suit-carrying pack we know of. A pricey option, but if you are wearing suits to work, it’s worth it for a $180 suit bag. 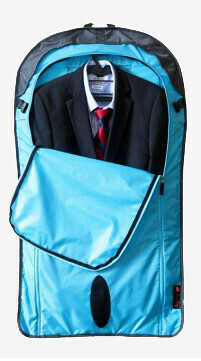 For any distance on a bike that requires carrying a suit with you, this pack is the way to go. We reviewed two Velo Transit packs (women’s Module 25 and men’s Edge 40) and came away really impressed by both. Waterproof, comfortable, and with pockets for everything, the only reason not to get these is price (about $160 for the women’s and $225 for the men’s)… but we’d still recommend getting these and scrimping elsewhere (ramen really isn’t that bad…). Get one and you’ll thank us! Velo Transit has several size options and colors to fit any commuter’s wish list. Mir's new best friend: the 8-speed Swift folding bike. Matt upgraded his ride with these Freedom Cruz 29ers! Xootr Swift: If you know anyone who’s looking to get into the fold, without sacrificing the speed on their commute, the Xootr Swift could be your new best friend! Hills are a breeze with the multiple speeds and the BMX tires ensure a durable commute. The Swift packs up fast and light for $750. Freedom Cruz Tires proved to be great for those with 29ers (or 700c bikes with lots of clearance) wishing for a road-oriented tire. Big and smooth-rolling, they’ll make you question why you ever thought 700×25 was a good idea. $34.99 to upgrade your ride. 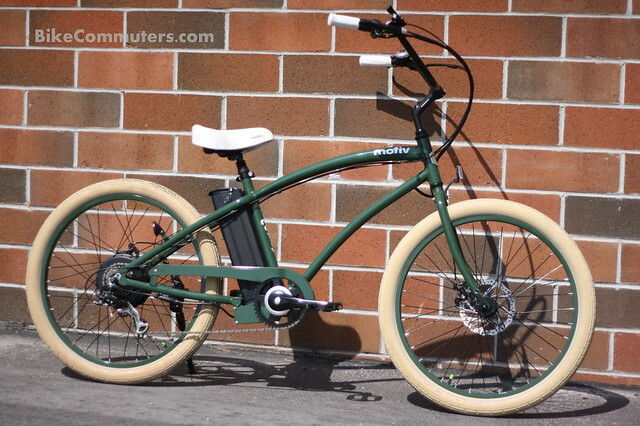 RL was a big fan of the Motiv Electric Bike starting at $1749.00 with customizable colors for frame, rims, and tires. Motiv Electric Bicycle. We liked Motiv because there are so many options you can go with when ordering a bike. From tire, rims, cockpit colors and battery/power options, a person can customize their bike to have it built just the way they want it. Ridekick E-Trailer. We liked it because it turns any bicycle into an e-bike, plus it has storage capabilities. 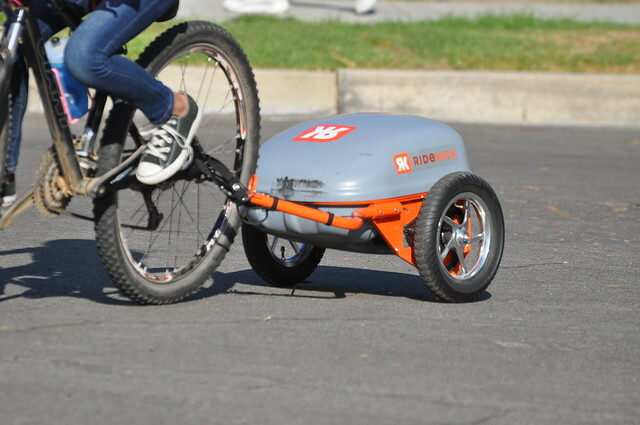 The RideKick is a great way to repurpose your old ride with extra speed and extra space. The price for the trailer ranges from $699 to $1359, depending on features. It’s a blast to ride, too! RL's test ride on the Ridekick was a blast. Put it on your wish list if you want to upgrade to electric. We recently featured Balance Insurance for the sake that it would be a great thing to have for bike commuters. With annual premiums as low as $63, you just can’t go wrong. As cyclists we all know that at some time we might come off our bikes and hit the ground hard. Most cycling accidents are relatively minor. Some will require medical attention. And then there are those life altering accidents that can cause hospitalization, permanent injury or death. For those latter injuries we created Balance For Cyclists. Balance For Cyclists pays large lump sum cash benefits over and above other insurance to cyclists who are injured in serious cycling accidents. Limits are available between $50,000 and $250,000 and all benefits are paid directly to the insured or their family.